Hello There! My name is Andy. I’ll be posting here on the Evergreen Hostel blog for the next couple weeks. I hope to provide some helpful tips for anyone traveling to Hiroshima, as well as some insight on traveling in Japan. For this post, I’m going to start simple with talking about some good spots for shopping and finding quality goods. I’ll begin with the well-known and well-talked-about, Don Quijote. Donki, for short, might equate to Walmart, Target, and Spencers in the U.S., but imagine those three stores combined into one, grand, four story bazaar. You could scour each of the floors dozens of times and find something different each visit. They sell anything that could come to mind: hygienic goods, cosmetics, stationery, toiletries and bath items, stylish clothing, gadgets and doohickies, and groceries. There is even, to my surprise, a small adult section. 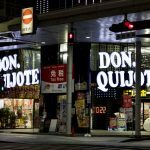 One of the great things I love about Don Quijote is that it’s not directed towards tourists; local residents shop there as well. 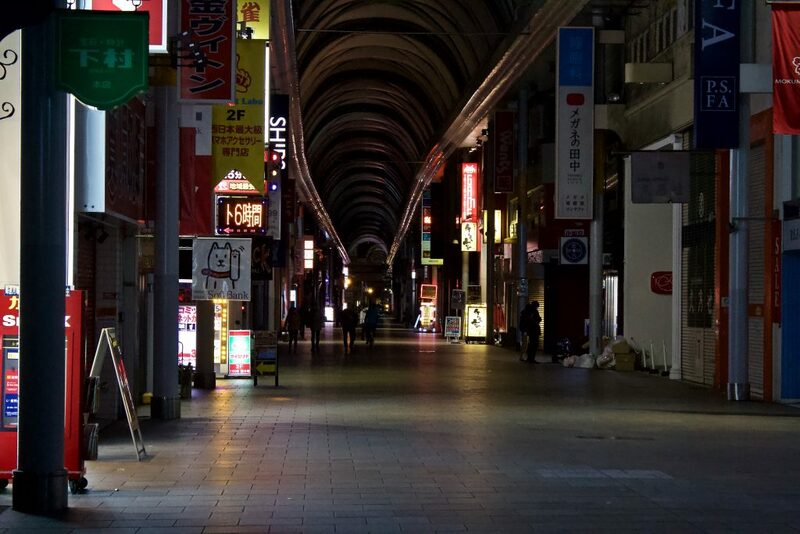 If you find yourself wanting to take a stroll late in the night, make Donki your go-to, as it is open daily from 10:00 – 05:00(10am – 5am). Let me tell you, if Donki had locations in the U.S, I’m sure a many college students would be flocking towards this discount bazaar. Next is BOOK-OFF Super Bazaar. BOOK-OFF has become one of my favorite places to shop, especially for clothing. 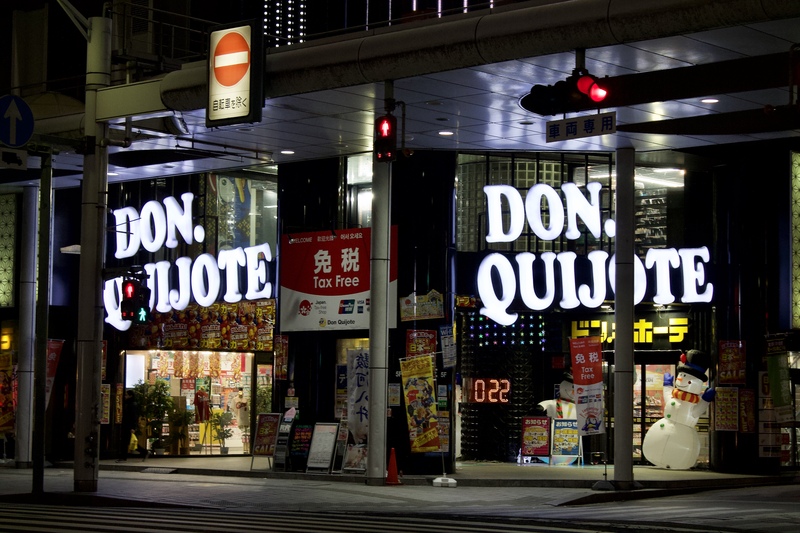 Similar to Don Quijote, it has a collection of different goods. 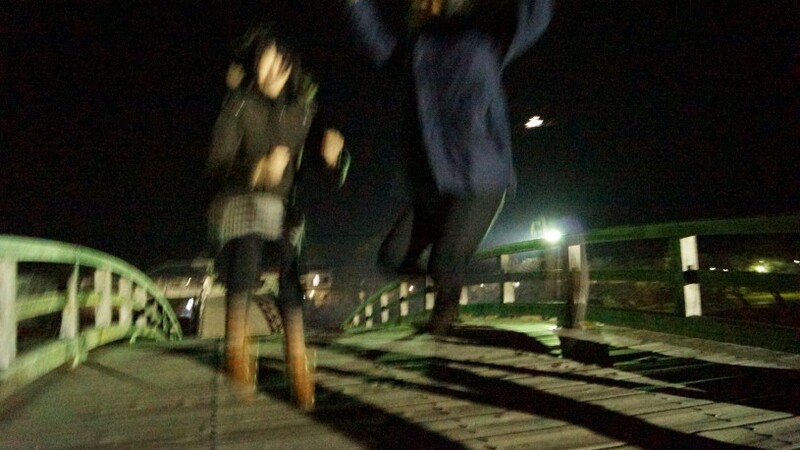 However, it is more specific in its selection. 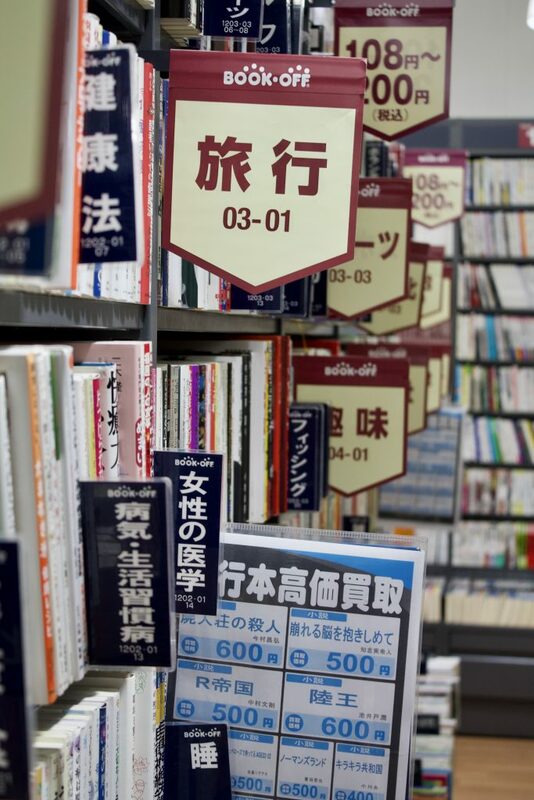 More than just a book store, it has become a well known spot in Japan to find used and near new items at a bargain cost. 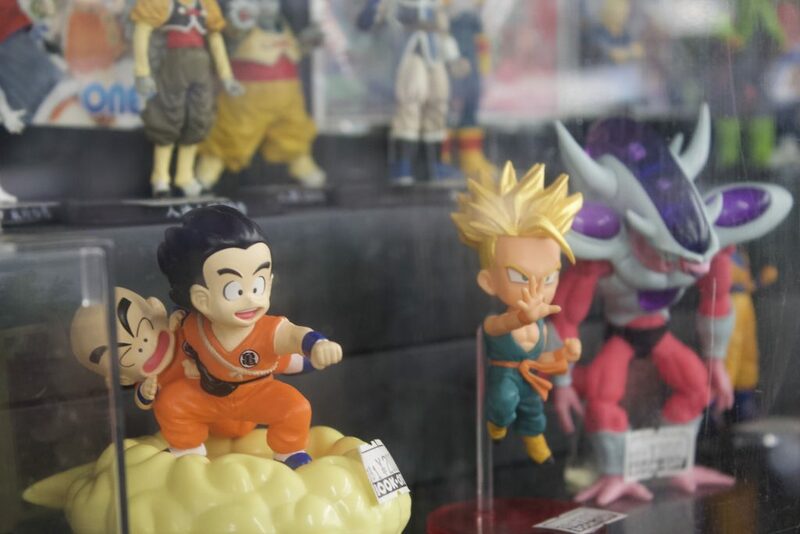 Walking in, one can find musical instruments, video games and consoles, DVDs and CDs, toys, clothing, collectible figurines, mobile phones, cameras, and of course, manga and books. The first time I entered the store my eyes were flooded by the bright illumination which highlights the exceptional cleanliness, a staple of this chain-store. Perusing the towering shelves of manga and paperbacks, one can often see high school students standing in the isles, reading whole manga in length. The selection is quite populous. You could find yourself spending an hour or so just searching for the perfect novel. Take a waltz downstairs and discover a plethora of clothing. I myself got lost weaving in and out of isles, scouring through what was like a jungle of fabric, just to find the right coat. After a long search and a few moments in the fitting room (more like twenty minutes or so), I found two coats that fit just right. For what at a new price would have cost in the ballpark of ¥20,000 – ¥26,000(roughly $180USD – $235USD), I bought for only about ¥6,200(about $57USD). And that’s what I paid for both coats. If you’re from the U.S, like myself, you know how hard it can be to find decent clothing at bargain stores such as Goodwill. However, you will find no disappointment in the clothing selection at Book Off. 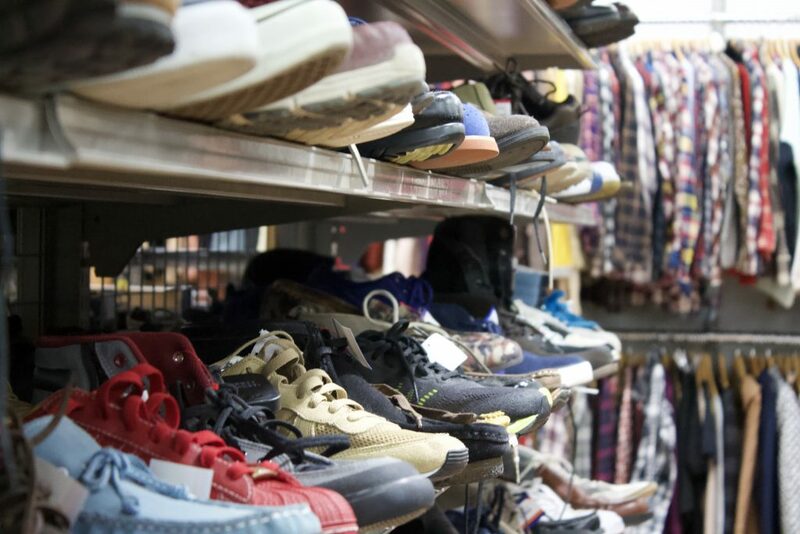 The clothing looks new and is usually top brand quality. Tokyu Hands is another charming shop. This is a great place for home goods, crafts, and stationery. If you’re in need of a new journal or writing utensil, this is the spot. I’m a little bit of a stationery buff myself, so I spent a good amount of time looking over the isle of pens. They also sell various colored wrapping papers and bags to wrap gifts, which can also be found here. And if after shopping around you’re in the mood for a coffee, there’s a cafe to sit, chill, and write about your travels. Lastly is the well trotted shopping arcade of Hondori. Hondori is such a charming and wonderful corridor that’s just a couple minutes walk southeast of the Genbaku dome. Every time I walk through this covered shopping district, I am delighted by the gentle tune that plays on the speakers above. Sometimes I’ll even walk through Hondori just to here this tune, which sort of reminds me of the music from some Studio Ghibli films. Hondori stretches for about three blocks. 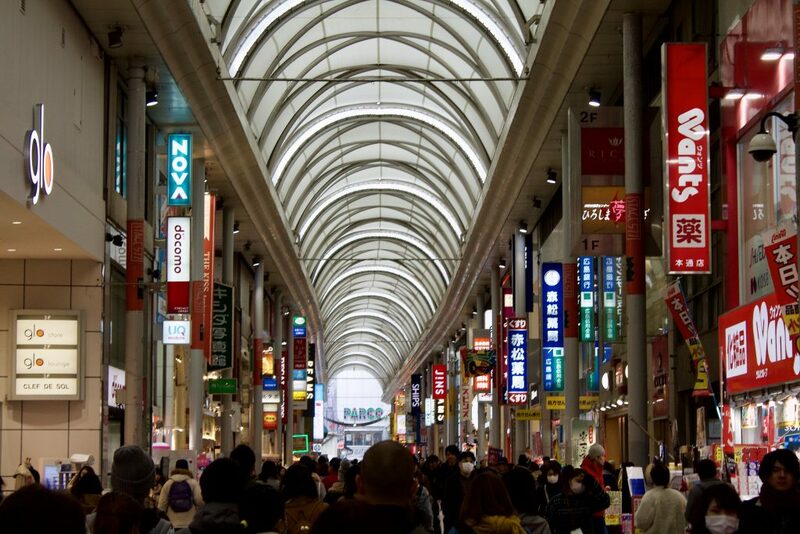 Despite the increased popularity of shopping malls in Japan, this strip can still be crowded on the weekends. Along the way, you will hear store employees shouting “irrashaimasse!” to welcome customers into their shops, selling anything from clothing and accessories to medicinals and cosmetics. 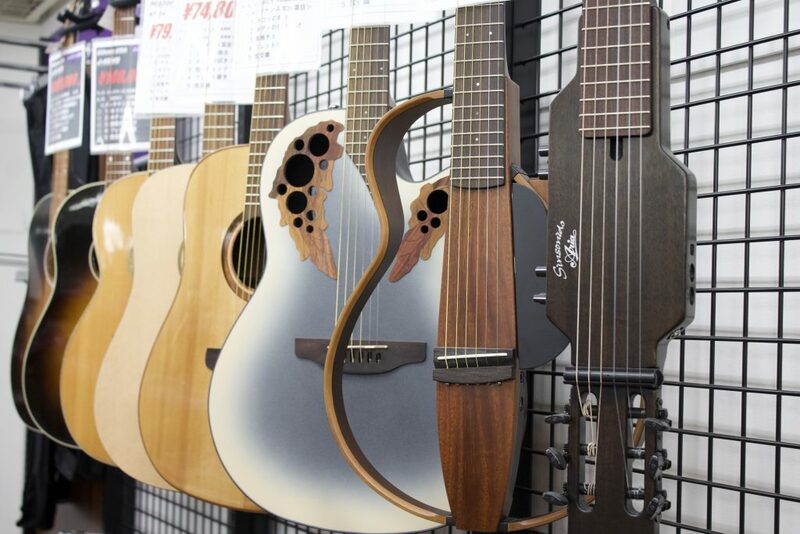 The prices can be somewhat expensive, but there is no doubt a stylish selection here. Need a new bag or purse? Beppin-ten specializes in such. Another, called WOMB(yes, Womb) is great for finding some urbane clothing, especially for the younger generations. I actually bought a new Ben Davis beanie from here that I am simply in love with. It even matches one of my new coats from BOOK-OFF. The late night scene of Hondori street is a complete contrast to the day-time hustle and bustle. After doing some shopping, just swing into one of the nearby sides streets for some good eats. A nearby ramen shop, called Hakata Ippudo, has been my go-to ramen joint this past week. But I’ll touch up on that soon in another post. 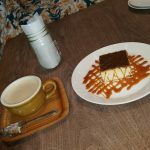 So, I hope I’ve provided some helpful tips in this post for shopping around central Hiroshima. If you’d like some information on a specific topic, stop by Evergreen Hostel and ask either myself or our lovely staff about the area, and we may even be able to book you a bed so you can enjoy this lovely city. Thank you for reading and I’ll see you around!